Amsterdam. Reflex Amsterdam. 2014. First edition, limited to 750 copies. Wrappers, with French flaps. Unpaginated [c. 24 pages]. 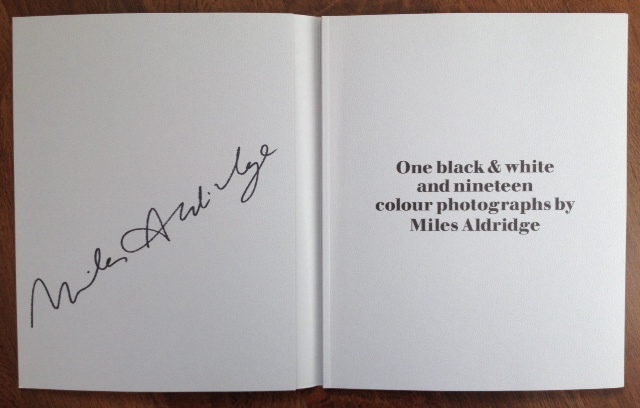 Signed by Miles Aldridge in ink across front-flap of wrapper. 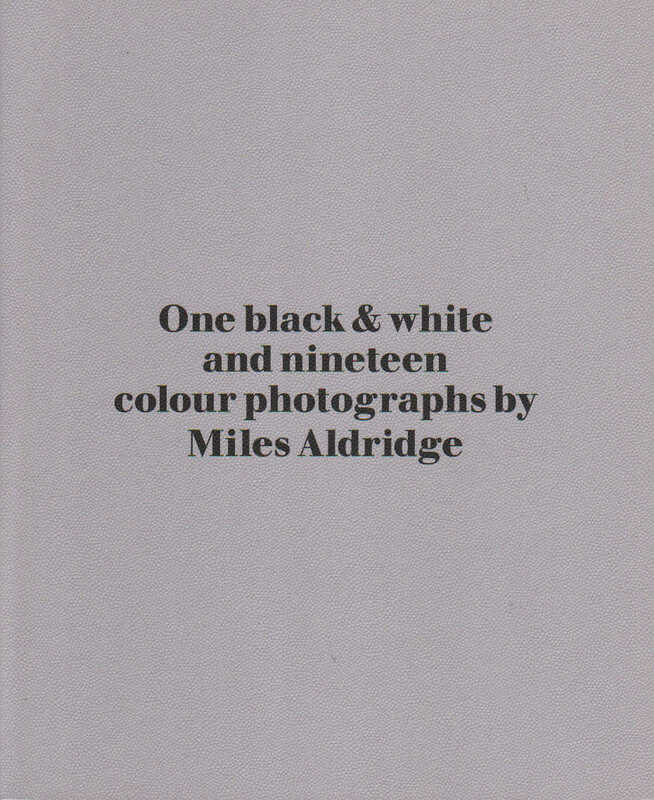 1 b&w and 19 colour photographs. 290 x 240mm (11½ x 9½"). 0.3kg. 9789071848193. English. Fine. 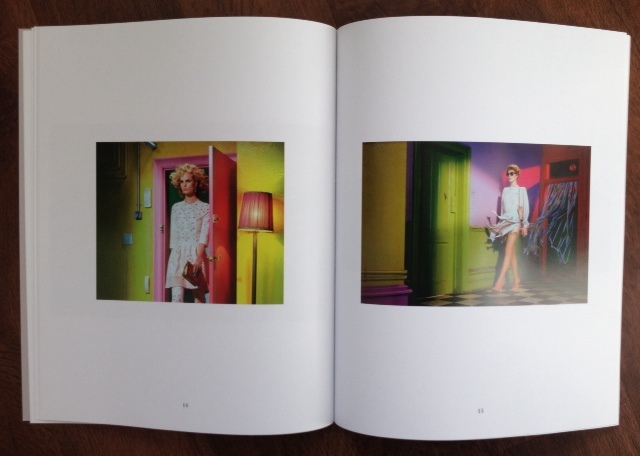 Published to coincide with the Miles Aldridge: Vanitasexhibition at the Reflex Gallery in Amsterdam, in 2014. 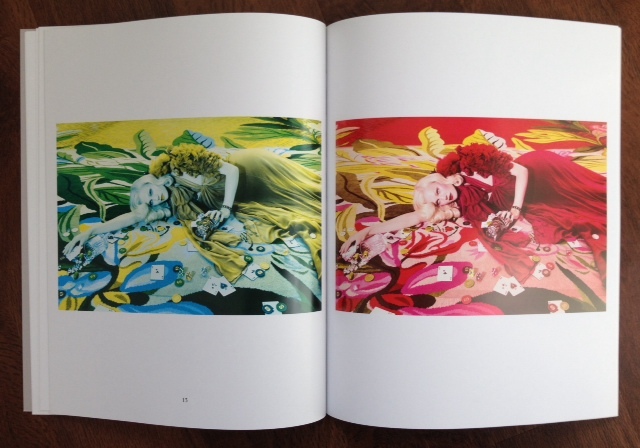 In the book British photographer Aldridge plays with his distinctive use of eye-popping, acid-hued colours. He recreates images taken between 2006 and 2014, using different combinations of the cyan, magenta, yellow and black colour palette. 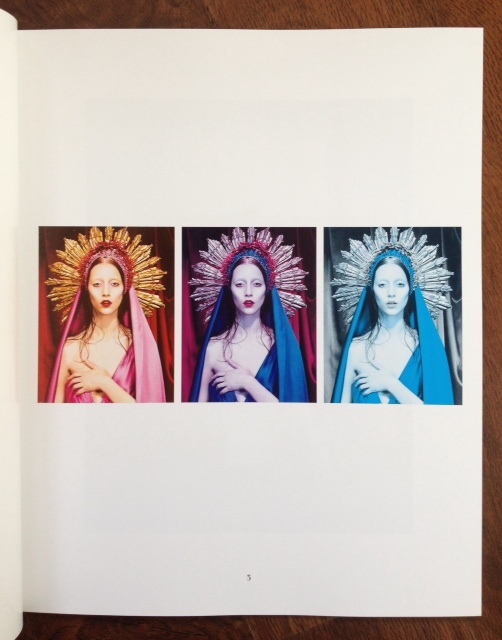 The same image appears in different states as Aldridge alters the colours, so "Immaculee #3" is printed in magenta + yellow + black, cyan + magenta + black, and cyan + black. 'Aldridge’s photographs always transmit a certain cinematic feeling. “Miles sees a colour coordinated, graphically pure, hard-edged reality”, says David Lynch about Aldridge’s work. They are mostly known for the beautiful, glamorous women who seem to be living in perfect worlds. But when you look closer, their worlds aren’t as perfect as they seem. It’s a dream that could just as easily turn into a nightmare. Their blank expressions and perfect appearances could be interpreted as passivity. Miles Aldridge prefers to define his women as in a state of contemplation, which leaves the viewer wondering about what’s going on in their heads.? The power of these photographs is created by the tension between the exterior perfection and the internal turmoil. As Aldridge explains himself, “A slightly uncomfortable quality is what I’m after. I don’t feel like making happy pictures about beautiful models being content. These pictures… They’re pictures of humans, not mannequins. They’re troubled, wounded and confused, questioning who they are now that they have everything they want.”'. (from Reflex Gallery's exhibition description).